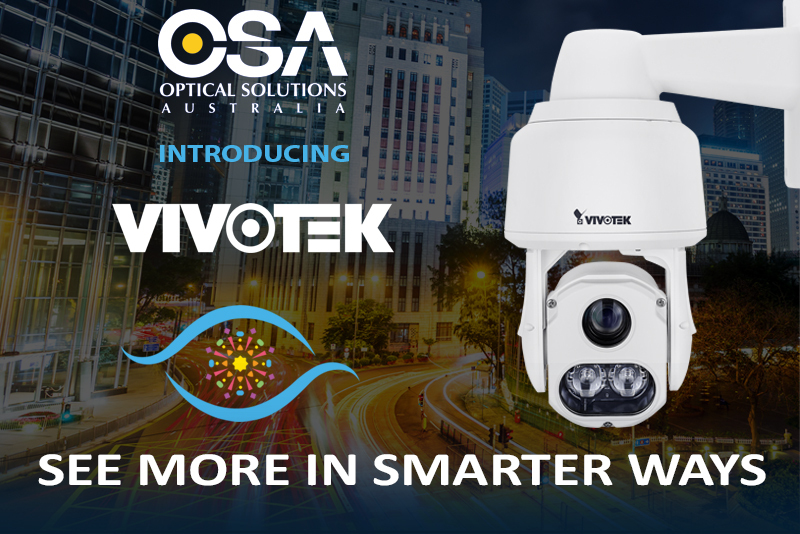 Optical Solutions Australia (OSA), the largest independently owned and operated Communications, Networking and Security distributor has formed a Technology Partnership with VIVOTEK (TWSE: 3454), a global leading IP surveillance solution provider. The partnership provides OSA customers with access to the entire VIVOTEK product portfolio, including network cameras, PoE switches, network video recorders, and video management software. Founded in 2002, Optical Solutions Australia (OSA) has grown to be Australia’s No. 1 independently owned and operated Communications, Networking and Security distributor. With 6 offices across Australia offering local warehousing and distribution, OSA has the unique ability to service customers and projects of all sizes across a wide range of industry and market verticals. Independent Australian ownership means OSA is agile and responsive to the needs of customers, not constrained by a large corporate structure. OSA expects the current rate of growth to continue as the company expands its product offering with quality products and brands. VIVOTEK Inc. was founded in February 2000. The Company markets VIVOTEK solutions worldwide and has become a leading brand in global security surveillance. In recent years, VIVOTEK has developed comprehensive IP surveillance solutions that encompass its broad range of network cameras, PoE switches, network video recorders, and video management software. To fulfill its global strategic footprint, VIVOTEK is committed to building an ecosystem for the IP surveillance industry and looks forward to long term collaboration and growth with all partners in our shared pursuit of a safe and secure society.